Matt’s Wedding Poodle – The Home of My "Big Things"
We were in Baltimore for Matt and Erin’s wedding. This gave us the rationale to spend the prior week at the Maryland Shore. A week well spent, Sun, Surf and Seafood. The wedding was at the Old Otterbein Church downtown with the reception at the American Visionary Art Museum. What a great place for a reception. This poodle was on the ground floor. This is a mixed marriage, Erin is a Redskins fan while Matt roots for the Eagles. Dan almost started a riot by referring to this arch rivarly in his Best Man’s toast. 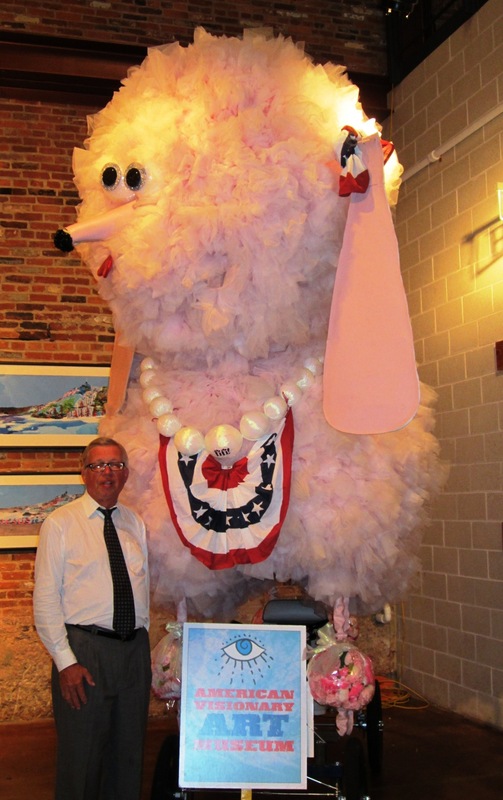 I thought he looked familiar, I have a photo of him at the Baltimore Visitors Center, you can see it below.